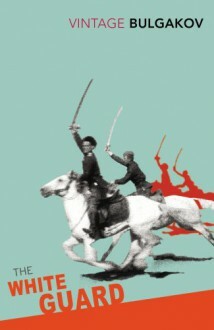 Drawing closely on Bulgakov's personal experiences of the horrors of civil war as a young doctor, "The White Guard" takes place in Kiev, 1918, a time of turmoil and suffocating uncertainty as the Bolsheviks, Socialists and Germans fight for control of the city. It tells the story of the Turbins, a once-wealthy Russian family, as they are forced to come to terms with revolution and a new regime. I was advised by a Russian professor not to worry too much about how was fighting for what and why and just enjoy the writing and characterisation. Best advice I got, as once I stopped worrying about not knowing enough about Ukrainian politics around 1918, I adored this book.